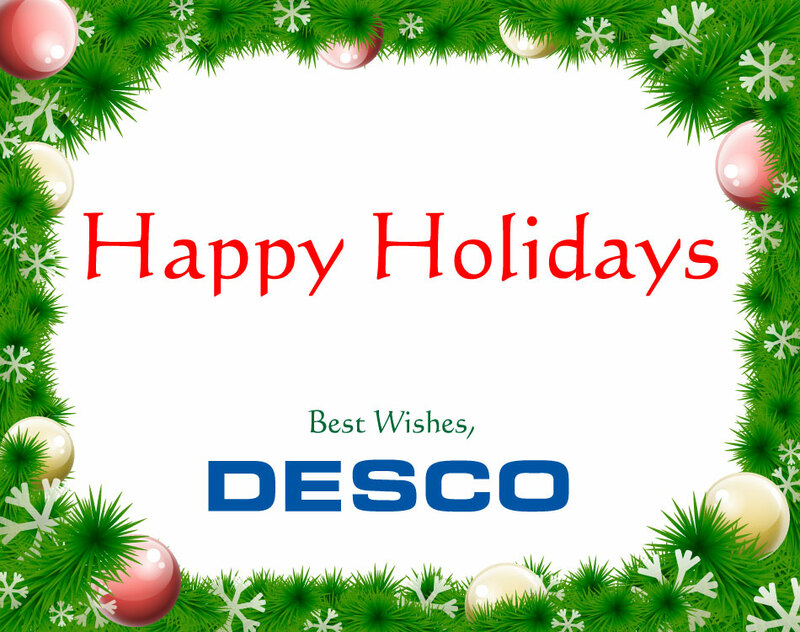 From all of us here at Desco, we would like to wish you a safe and Happy Holiday season! We will be closed on Thursday, December 25th and Thursday, January 1st. As always, thank you for your business and the opportunity to provide you with an ESD solution!